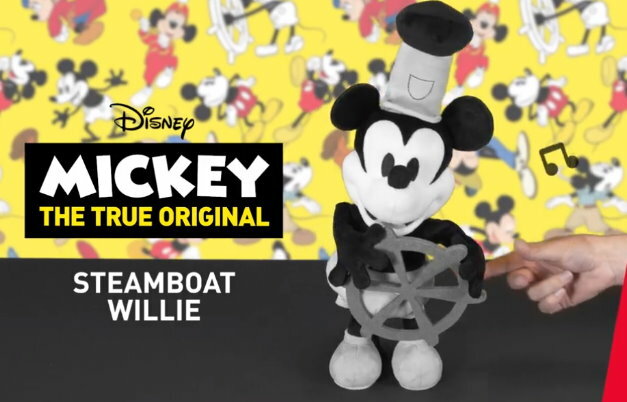 We have a new Target cartwheel offer available to save 30% off the Disney Mickey Mouse Steamboat Willie that can be used both in stores and online at Target.com. This Special Edition 90th Anniversary Plush stands 18″ tall and you can press Mickey’s hand to activate sounds and movement and he plays the Steamboat Willie song. It requires 3 AA batteries which are also included. If you are ordering online, the cartwheel can only be used when you add the offer in the app first, and then choose Drive-up or Free store pickup if available. This Cartwheel is valid today only, 4/6 and even better- it’s on sale for 60% off both in stores and online to make for a huge savings….. If you are a Target REDcard Holder though, ordering online and choosing FREE store pickup will save an extra 5% since Target is running a special promo for existing cardholders thru April 6th. To get the extra discount, use your REDcard when checking out online and then enter the code REDCARD to get your extra 5% Off which is in addition to your Every-Day 5% Discount.